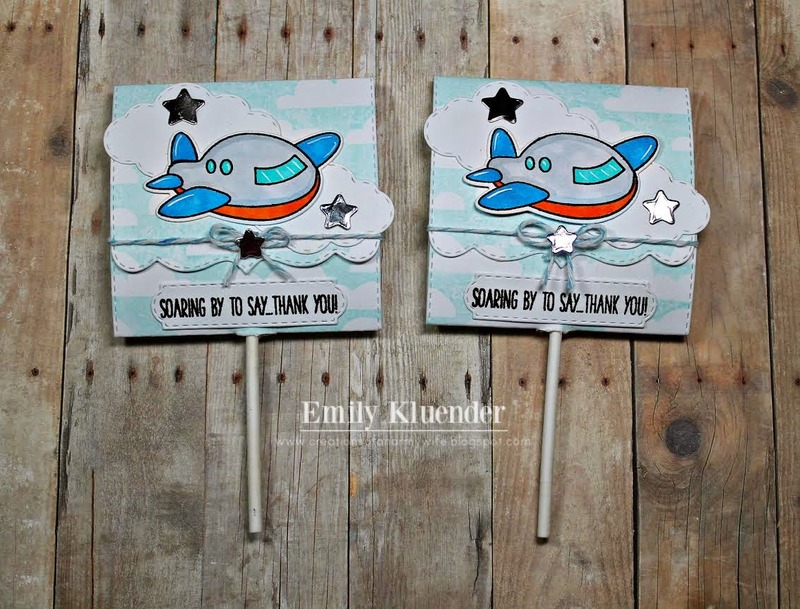 My Creative Time: What a Treat Wednesday! My Favorite Stamp / Die of the Month revisited! MCT 42nd Release Blog Hop! Guest Designers & a SALE! GOOD MORNING my sweet friends & welcome to another "What A Treat Wednesday!" Today I have a FUN treat for you! 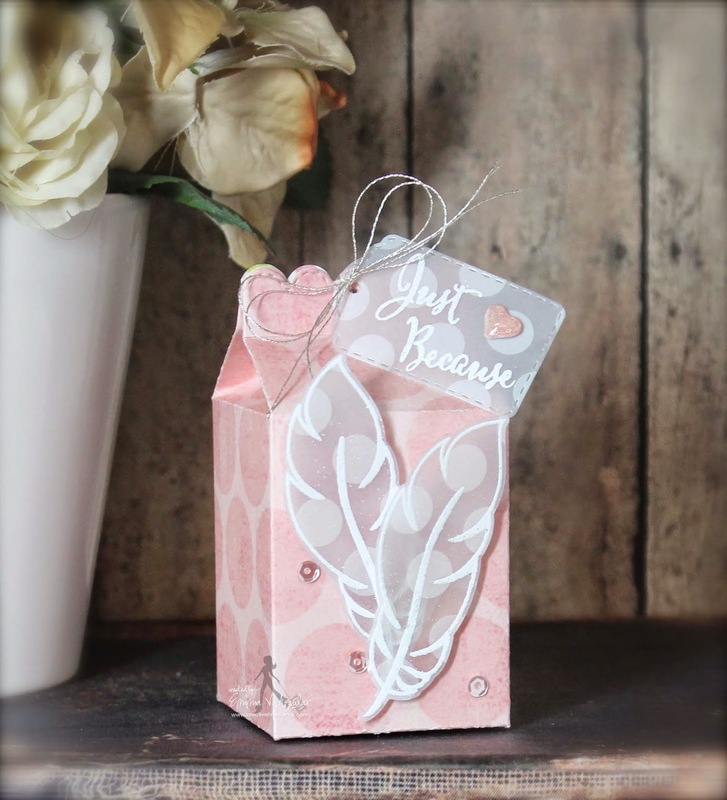 I was SUPER EXCITED to play w/my newest release again & wanted to put these ADORABLE feathers from the Believe In Your Dreams set onto my Milk Carton Die for a classy looking treat! 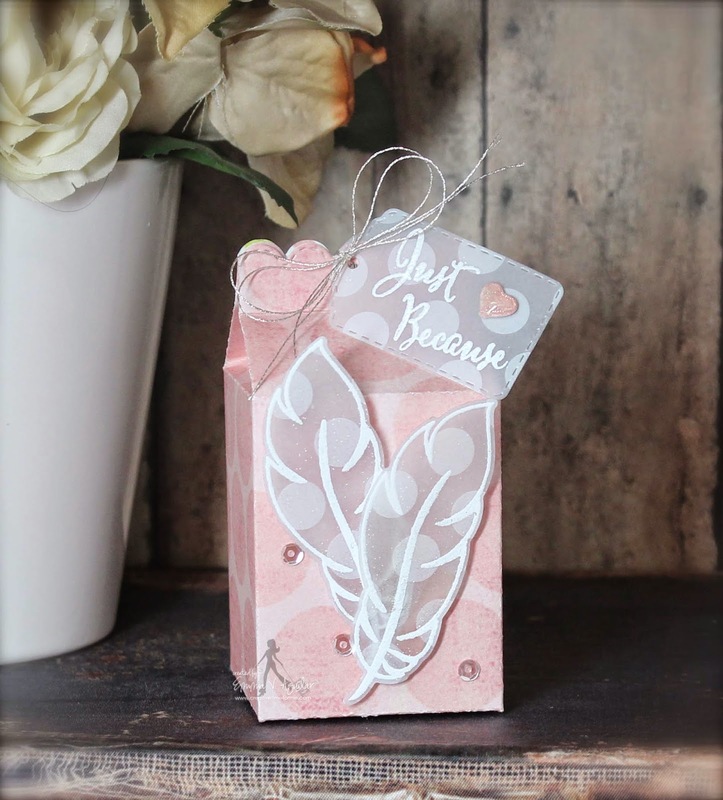 ;) I used white embossing powder & embossed the feathers & the sentiment onto some SUPER CUTE vellum that I picked up HERE! The sentiment which is from the newest release set Believe In Your Dreams was embossed onto one of the tags from my Fun Stitched Tag Dies set! The paper I used for the Milk Carton Die is from my stash! I just LOVE finding cute pattern paper in my stash & little by little I am getting through my scraps! The heart is ALSO from the set Believe In Your Dreams! Last I added sequins & tied the tag on using some silver thread. Here is a little bit different angle so you can see that this is a milk carton shape treat! ;) You can filled this treat up with anything you would like that is small! I filled mine up w/some hershey kisses! P.S. Here is the LUCKY winner of the $50 Gift Card from the blog hop! Wonderful release, everything is beautiful. I love the feathers! CONGRATS Miss Lynn!!! I will contact you shortly my friend! Good Morning Miss Emma.....OMG What a Gorgeous Treat box....WOW!! Definitely Classy!! 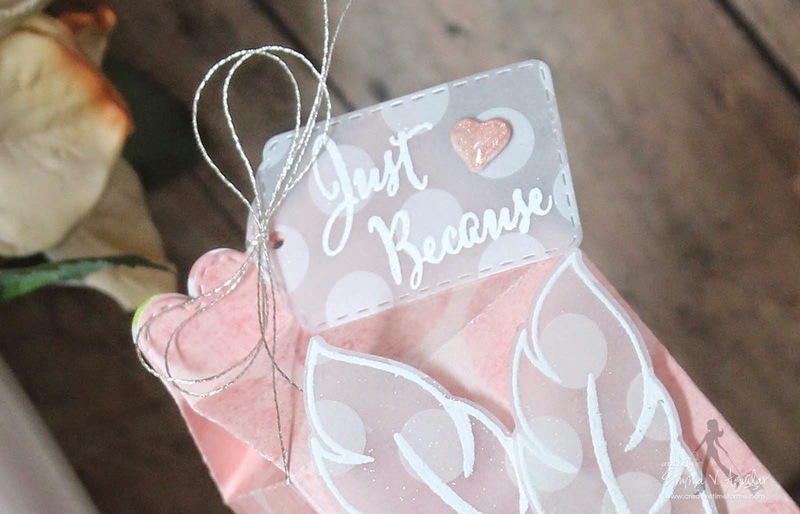 I too love...love that pink polka dot paper and your ideas for using the vellum really makes for beautiful feathers and tag with the embossing WOW definitely one Powerful and Gorgeous Presentation. The Silver Thread Adds the perfect touch. You totally outdid yourself!! I'm glad you are finally able to really have some creative fun with all your new goodies.....Can't wait to see what you'll bring to show & tell tomorrow. YOU ROCK!! WOW Emma, your project is gorgeous. I love the look of the vellum against the pink, it is so pretty. 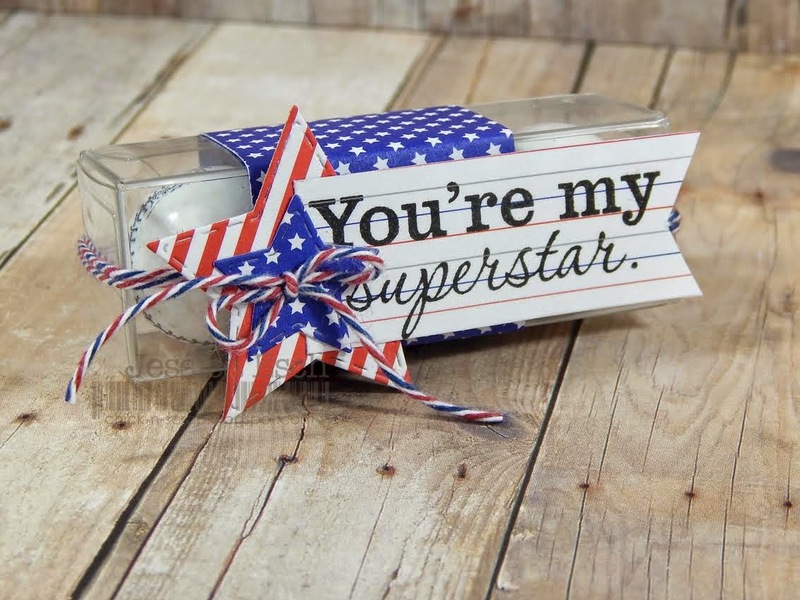 The vellum is beautiful on your carton! I love how the embossing looks...it looks soft and elegant with the white embossing. The silver thread on the tag is so pretty...great choice! You and the team had wonderful and different treat holders. Beautiful job everyone. Congratulations to the winner! Enjoy your shopping! OOOHHHHHH Emma!! Your milk carton is so beautiful!!!!!! Such a super cute treat box Emma! Those feathers look beautiful on vellum and embossed! Nice job from the DT too. Your treat container is wonderful. LoVe your pretty colors. Thanks for sharing.